RussJones.Us: Why Is It Called Black Friday? 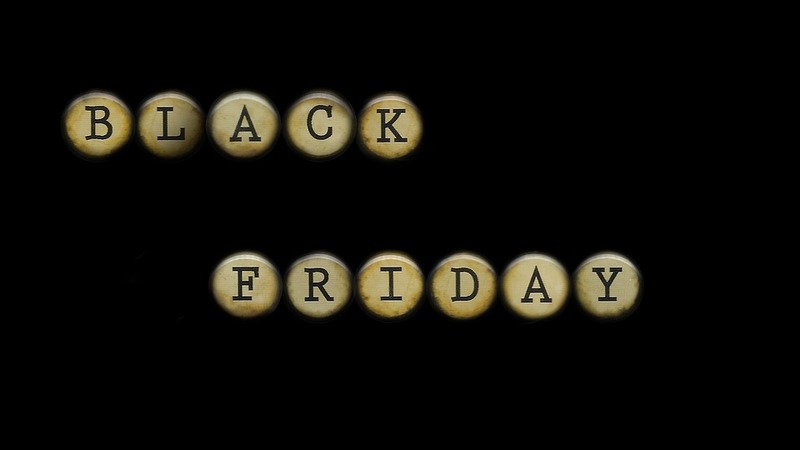 The term Black Friday was coined by the Philadelphia Police Department to describe the shopping day after Thanksgiving. This was due to so many traffic accidents, pedestrian and auto congestion, and incidents of violence. Retailers hated the term. Naturally, because it was reminiscent of Black Monday, Black Tuesday, and Black Thursday. These are days when the stock market took massive plunges. Eventually, though, retailers embraced what they couldn't change. So instead of black representing the dark side of shopping. It now represents the black ink retailers enjoy because of increased holiday sales. Genesis 41:39-42 39 Then Pharaoh said to Joseph, “Since God has shown you all this, there is none so discerning and wise as you are. 40 You shall be over my house, and all my people shall order themselves as you command. Only as regards the throne will I be greater than you.” 41 And Pharaoh said to Joseph, “See, I have set you over all the land of Egypt.” 42 Then Pharaoh took his signet ring from his hand and put it on Joseph's hand, and clothed him in garments of fine linen and put a gold chain about his neck. Joseph endured massive failure. He is rejected by his brothers. Falsely imprisoned by his former employer. Forgotten by his friends. Eventually, he becomes the Prime Ministers of Egypt. Job endured a massive loss. He lost everything that he owned. All of his children were killed. Then he loses his health. His wife told him to curse God and die. His friends accused him of doing something to deserve this. Eventually, he has everything restored to him and then some. There are plenty of examples we can find in the Bible to illustrate this point which is, "Your past is never forgotten, but it never has to define your future." What Black Friday haunts your life? What massive failure or loss have you had to endure? For Joseph and Job, they faced their obstacles with faith. They understood that God never promised them a comfortable life just that He would never abandon them. Faith looks forward. Fear always looks back. Faith believes that God will do something more significant. Fear says God has given up on you. Faith sees the big picture. Fear only can see what is in front of you. PRAY: Dear Jesus, let's move on from my "Black Friday" and discover what You have in store for me.